Bukky Wright is a popular Nigerian actress, filmmaker, politician and businesswoman, she started her acting career in 1996, she has shown in different TV series but she shows mostly in Yoruba movies. 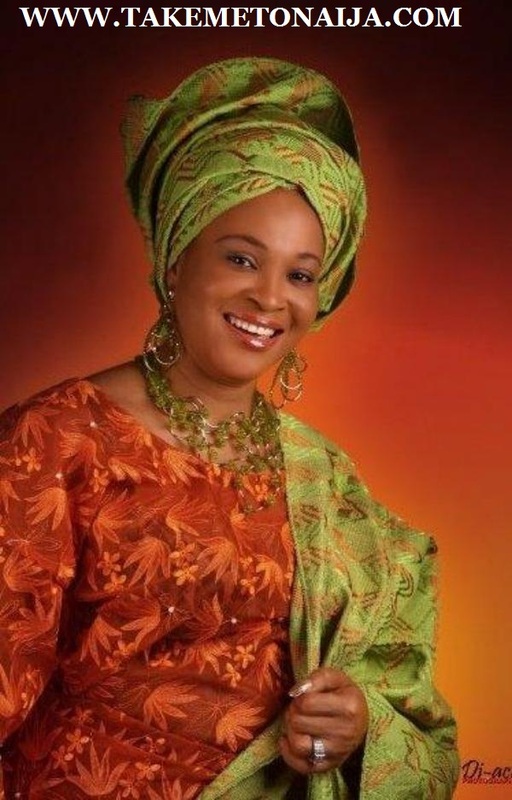 Bukky was born on the 31st of March, 1967 to a Christian father and Muslim mother in Abeokuta. She attended the University of Lagos, earning a bachelors degree in Economics. Bukky Wright is one of the best in the trade of acting in the Nigeria Movie Industry. She is one of the most successful actresses in Nigeria and command good money when asked to act in a movie production and direct good when direction her own movie. She is a Charming and Elegant actress. Bukky Wright started her acting career in 1996. She has featured in up to 100 interesting Nollywood films. She has got two beautiful boys. Sometime ago you were rated as one of the most controversial actresses in Nollywood; does controversy suit you and does it really get to you at all? It does not get to me. It takes the grace of God and determination to stay in this kind of profession without going through controversies here and there, but I have never allowed controversies to get to me. I understand the fact that I have a price to pay for being a celebrity. But that does not mean I should start jumping over the place because I am a celebrity or because I want people to know I am still relevant. Those who say I am controversial don’t know me. I am different things to different people. I am sure you would have your own idea of who Bukky Wright is by the time this interactive session is over. So, who is the real Bukky Wright? The real Bukky Wright is God-fearing, down to earth, but very blunt to a large extent. The funny thing about this job is that people won’t complain if you act in a movie where you are asked to cry from the beginning to the end. It will surprise you to hear that some of my fans do tell me that when I am crying in movies, they also cry. What that tells you is that I am doing what I have to do rightly, interpreting my roles passionately. How does your husband react to some of these things? Most of the time, he does not like seeing or hearing anything about that and he would want me to take an action that would serve as a deterrent to others, but I will say no. Tell us more about him? My husband is a perfect gentleman and I thank God for his life. In fact, some people will even use him to blackmail me when I am not taking their scripts. I have been able to carve that little bit of privacy for myself, husband and children. That is how far I can tell you about him. Why do celebrities like to live fake lives? I think it is crazy for any celebrity to paint the picture of what he or she cannot achieve five years from now. They call it showbiz and you have to show, but sometimes, you have to put that aside and be yourself. I am not the kind of woman that likes to do what others do. I love to be myself and those who know me would tell you that is Bukky for you. them that they had to wait till it was ready,’ she responded. Bukky in 2014 contested for a seat in the Ogun state House of Representatives on the platform of the Social Democratic Party (SDP), which was led by former Governor Olusegun Osoba.